NEWPORT BEACH — The anticipation of heavy rains this winter season helped sway Newport Beach City Council to allocate about a quarter of a million dollars to strengthen two sections of seawall on Balboa Island at its Sept. 22 meeting. Council members unanimously approved $246,500 in expenditures (plus $24,500 in contingency funds) to stabilize the Grand Canal’s east and west seawalls, which are part of an aging system protecting Balboa Island’s homes, residents and businesses from harbor water flooding onto properties. City officials stated seawalls at the Grand Canal and western end of the island are of greatest concern and were targeted to be upgraded during the first phase of planned infrastructure repair. A recent study of the sand embankments supporting Grand Canal’s seawalls had sloughed, causing them to be vulnerable. “The sand embankments along both the east and west Grand Canal seawalls were last restocked and re-profiled in spring 1999 as a part of the Canal dredging project,” city staff told council members in a report. “Given the age of the existing seawalls, the unknown deterioration of the tieback systems, the expected ‘El Niño’ winter storms, the recent site inspection and recent review of the structural design of the walls, staff has determined that immediate emergency work is necessary to protect life and property through the restoration of sand along the bottom of the seawall to maintain the seawall stability,” a city staff report stated. Metro Builders and Engineers Group was awarded the contract to restore a 4-foot-wide compacted shelf at the +5.00 MLLW incline. Three other companies submitted bids ranging from about $326,000 to $392,000; Metro Builders was selected since its $246,500 bid was closest to the city’s $255,000 estimate to perform emergency work on Grand Canal’s seawalls. City staff stated eelgrass in the area would be protected and temporary midday sidewalk closures along the canal could be instituted. The contract award is for 16 days. Both sides of the Grand Canal are lined with homes and private docks. The island’s residents began a dialog with city officials in 2011 to address the seawalls’ age and condition. 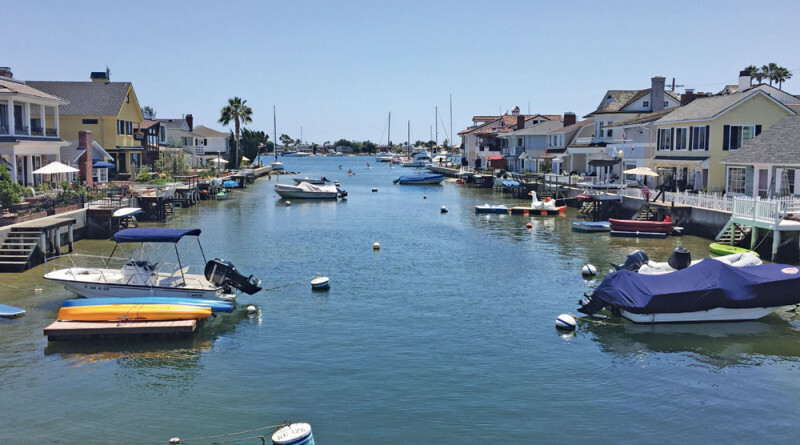 Council members held a study session on July 14 to discuss how best to address long-term seawall repair at Balboa Island and other waterfront locations in Newport Beach. All seven elected officials acknowledged during the July 14 study session the need to dredge the Grand Canal to protect residents from El Niño storms forecasted this coming winter. Balboa Island is home to roughly 10,000 feet of seawall and could cost Newport Beach $68 million to fully repair. City staff also suggested spending roughly half as much money ($35 million) to repair about 4,500 feet of seawall in vulnerable areas such as the Grand Canal, which is about 1,525 feet long and bisects the western portion of Balboa Island from the rest of the land formation in Newport Harbor. The seawalls protecting the island, which has an elevation of 5 to 7 feet and is generally below the high tide line, are 76 to 86 years old and beyond their designed lifespan; each wall is reportedly showing signs of distress. City staff predicts the seawalls would be upgraded within the five or six years. Council member Marshall “Duffy” Duffield was not present at the Sept. 22 meeting.